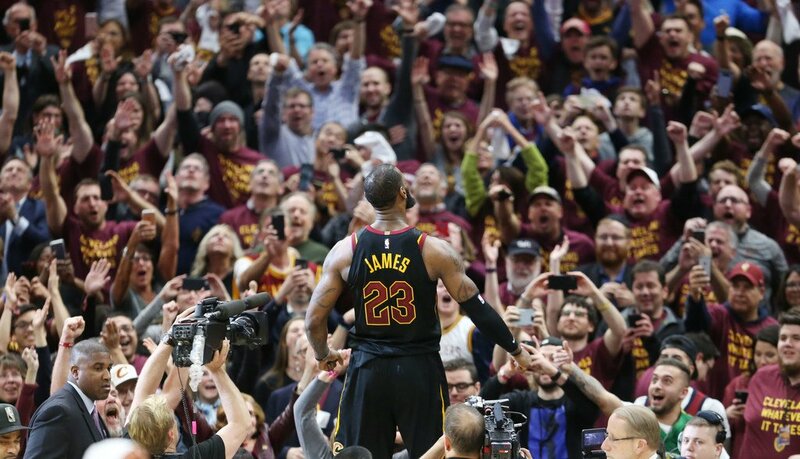 LeBron James Game 5 Buzzer Beater to Titanic's "My Heart Will Go On"
On Wednesday night, the Cavaliers came out on the winning end defeating the Indiana Pacers in Game 5, 98-95. The Cavs didn’t come away with the victory in easy fashion though to gain their first lead of the series. LeBron James came through big in the closing seconds of the fourth quarter and hit a shot that we will be telling our kids in the future. Following the Cavs victory on Wednesday night, the team now holds a 3-2 lead in the best of 7 series. Game 6 will be in Indianapolis Friday night at 8 pm EST.